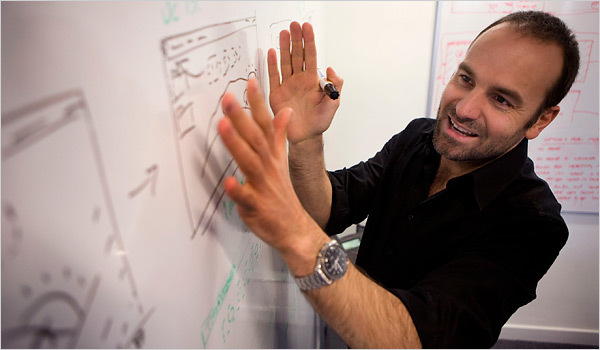 I probably don’t have to present Mark Shuttleworth… he was already a Debian developer when he became millionaire after having sold Thawte to Verisign in 1999. Then in 2002 he became the first African (and first Debian developer) in space. 2 years later, he found another grandiose project to pursue: bring the Microsoft monopoly to an end with a new alternative operating system named Ubuntu (see bug #1). Read on to discover his view on the Ubuntu-Debian relationship and much more. Mark: At heart I’m an explorer, inventor and strategist. Change in technology, society and business is what fascinates me, and I devote almost all of my time and wealth to the catalysis of change in a direction that I hope improves society and the environment. Raphael: What was your initial motivation when you decided to create Ubuntu 7 years ago? Mark: Ubuntu is designed to fulfill a dream of change; a belief that the potential of free software was to have a profound impact on the economics of software as well as its technology. It’s obvious that the technology world is enormously influenced by Linux, GNU and the free software ecosystem, but the economics of software are still essentially unchanged. Before Ubuntu, we have a two-tier world of Linux: there’s the community world (Debian, Fedora, Arch, Gentoo) where you support yourself, and the restricted, commercial world of RHEL and SLES/SLED. While the community distributions are wonderful in many regards, they don’t and can’t meet the needs of the whole of society; one can’t find them pre-installed, one can’t get certified and build a career around them, one can’t expect a school to deploy at scale a platform which is not blessed by a wide range of institutions. And the community distributions cannot create the institutions that would fix that. Ubuntu brings those two worlds together, into one whole, with a commercial-grade release (inheriting the goodness of Debian) that is freely available but also backed by an institution. The key to that dream is economics, and as always, a change in economics; it was clear to me that the flow of money around personal software would change from licensing (“buying Windows”) to services (“paying for your Ubuntu ONE storage”). If that change was coming, then there might be room for a truly free, free software distribution, with an institution that could make all the commitments needed to match the commercial Linux world. And that would be the achievement of a lifetime. So I decided to dedicate a chunk of my lifetime to the attempt, and found a number of wonderful people who shared that vision to help with the attempt. It made sense to me to include Debian in that vision; I knew it well as both a user and insider, and believed that it would always be the most rigorous of the community distributions. I share Debian’s values and those values are compatible with those we set for Ubuntu. Debian on its own, as an institution, could not be a partner for industry or enterprise. The bits are brilliant, but the design of an institution for independence implies making it difficult to be decisive counterparty, or contractual provider. It would be essentially impossible to achieve the goals of pre-installation, certification and support for third-party hardware and software inside an institution that is designed for neutrality, impartiality and independence. However, two complementary institutions could cover both sides of this coin. So Ubuntu is the second half of a complete Debian-Ubuntu ecosystem. Debian’s strengths complement Ubuntu’s, Ubuntu can achieve things that Debian cannot (not because its members are not capable, but because the institution has chosen other priorities) and conversely, Debian delivers things which Ubuntu cannot, not because its members are not capable, but because it chooses other priorities as an institution. So the worst and most frustrating attitude comes from those who think Debian and Ubuntu compete. If you care about Debian, and want it to compete on every level with Ubuntu, you are going to be rather miserable; you will want Debian to lose some of its best qualities and change some of its most important practices. However, if you see the Ubuntu-Debian ecosystem as a coherent whole, you will celebrate the strengths and accomplishments of both, and more importantly, work to make Debian a better Debian and Ubuntu a better Ubuntu, as opposed to wishing Ubuntu was more like Debian and vice versa. Raphael: The Ubuntu-Debian relationship was rather hectic at the start, it took several years to “mature”. If you had to start over, would you do some things differently? Mark: Yes, there are lessons learned, but none of them are fundamental. Some of the tension was based on human factors that cannot really be altered: some of the harshest DD critics of Canonical and Ubuntu are folk who applied for but were not selected for positions at Canonical. I can’t change that, and wouldn’t change that, and would understand the consequences are, emotionally, what they are. Nevertheless, it would have been good to be wiser about the way people would react to some approaches. We famously went to DebConf 5 in Porto Allegre and hacked in a room at the conference. It had an open door, and many people popped a head in, but I think the not-a-cabal collection of people in there was intimidating and the story became one of exclusion. If we’d wanted to be exclusive, we would have gone somewhere else! So I would have worked harder to make that clear at the time if I’d known how many times that story would be used to paint Canonical in a bad light. As for engagement with Debian, I think the situation is one of highs and lows. As a high, it is generally possible to collaborate with any given maintainer in Debian on a problem in which there is mutual interest. There are exceptions, but those exceptions are as problematic within Debian as between Debian and outsiders. As a low, it is impossible to collaborate with Debian as an institution, because of the design of the institution. In order to collaborate, two parties must make and keep commitments. So while one Debian developer and one Ubuntu developer can make personal commitments to each other, Debian cannot make commitments to Ubuntu, because there is no person or body that can make such commitments on behalf of the institution, on any sort of agile basis. A GR is not agile ;-). I don’t say this as a critique of Debian; remember, I think Debian has made some very important choices, one of those is the complete independence of its developers, which means they are under no obligation to follow a decision made by anyone else. It’s also important to understand the difference between collaboration and teamwork. When two people have exactly the same goal and produce the same output, that’s just teamwork. When two people have different goals and produce different product, but still find ways to improve one anothers product, that’s collaboration. So in order to have great collaboration between Ubuntu and Debian, we need to start with mutual recognition of the value and importance of the differences in our approach. When someone criticises Ubuntu because it exists, or because it does not do things the same way as Debian, or because it does not structure every process with the primary goal of improving Debian, it’s sad. The differences between us are valuable: Ubuntu can take Debian places Debian cannot go, and Debian’s debianness brings a whole raft of goodness for Ubuntu. 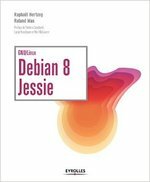 Raphael: What’s the biggest problem of Debian? Mark: Internal tension about the vision and goals of Debian make it difficult to create a harmonious environment, which is compounded by an unwillingness to censure destructive behaviour. Does Debian measure its success by the number of installs? The number of maintainers? The number of flamewars? The number of packages? The number of messages to mailing lists? The quality of Debian Policy? The quality of packages? The “freshness” of packages? The length and quality of maintenance of releases? The frequency or infrequency of releases? The breadth of derivatives? Raphael: Do you think that the Debian community improved in the last 7 years? If yes, do you think that the coopetition with Ubuntu partly explains it? Mark: Yes, I think some of the areas that concern me have improved. Much of this is to do with time giving people the opportunity to consider a thought from different perspectives, perhaps with the benefit of maturity. Time also allows ideas to flow and and of course introduces new people into the mix. There are plenty of DD’s now who became DD’s after Ubuntu existed, so it’s not as if this new supernova has suddenly gone off in their galactic neighbourhood. And many of them became DD’s because of Ubuntu. So at least from the perspective of the Ubuntu-Debian relationship, things are much healthier. We could do much better. Now that we are on track for four consecutive Ubuntu LTS releases, on a two-year cadence, it’s clear we could collaborate beautifully if we shared a freeze date. Canonical offered to help with Squeeze on that basis, but institutional commitment phobia reared its head and scotched it. And with the proposal to put Debian’s first planned freeze exactly in the middle of Ubuntu’s LTS cycle, our alignment in interests will be at a minimum, not a maximum. Pure <facepalm />. Raphael: What would you suggest to people (like me) who do not feel like joining Canonical and would like to be paid to work on improving Debian? Raphael: What about using the earnings of the dormant Ubuntu Foundation to fund some Debian projects? Raphael: The crowdfunding campaign for the Debian Administrator’s Handbook is still going on and I briefly envisioned the possibility to create the Ubuntu Administrator’s Handbook. What do you think of this project? Mark: Crowdfunding is a great match for free software and open content, so I hope this works out very well for you. I also think you’d find a bigger market for an Ubuntu book, not because Ubuntu is any more important than Debian but because it is likely to appeal to people who are more inclined to buy or download a book than to dive into the source. Again, this is about understanding the difference in audiences, not judging the projects or the products. Mark: Zack is the best DPL since 1995; it’s an impossible job which he handles with grace and distinction. I hope praise from me doesn’t tarnish his reputation in the project! Thank you to Mark for the time spent answering my questions. I hope you enjoyed reading his answers as I did. I really appreciated reading this interview and getting more of Mark’s perspective; the idea that Ubuntu is a “more free” version of, say, RHEL, is a compelling one. I also like seeing his commitment to a free software desktop expressed so clearly. I think it’s unbecoming him (and others in Canonical), though, to act like they don’t know why people are upset with them, and it’s all just a misunderstanding. Because I’ve seen some incoherent “fanboy” style hate of Ubuntu, but I’ve also seen lucid criticisms and people who were hurt by thoughtless moves. Pretending that there’s no problem says that relationships are expendable, if it preserves the appearance of harmony. That is a veiled personal attack on unspecified members of Debian, and thus on Debian as a whole. It is shameful to see it in this article series. Hi Joey, it’s an interview, I’m not really “filtering” the answers I get. It’s also a way to show the diversity of the points of view in the community… that said, now that you mention it, I agree that this part could have been avoided. Personally, I did not feel attacked when I’ve read his answers for the first time and considered this like an historical detail, not really something to be worried about. You don’t filter your interview, but you filter comments! I have the right to say that I’m tired of hearing about Ubuntu on Planet Debian. If I wanted news about Ubuntu, I will suscrib to Planet Ubuntu or at least, to Planet Debian Derivative. You have the right to have your opinion of course, but Planet Debian is not what you think it is. People speak of rugby, marathons, whatever they want, nothing is off-topic… and this interview certainly isn’t. If you can’t bear the “noise” I suggest you find another source of information. Joey, this is in no way a personal attack. It’s an observation. And it’s largely historical. If this were true, Debian would be unable to commit to eg, providing a stable distribution to our users. Amazing the number of attacks and amount of weaseling in here really. There are commitments that are implicit in the founding of the project. Those are entry requirements; you don’t get in unless you take those for granted. But making new commitments is extremely difficult for Debian, because any given decision can be challenged until it is obsolete or irrelevant. And being part of the formal ecosystem means being able to make such commitments, quickly, and effectively. Debian is not worse off for this. It is what it is. That makes Debian superb in some contexts, challenging in others. If you by any chance read this, could you give some examples of what commitments you’re thinking about? It’s clear that Debian can’t commit resources of the kind needed for commercial support, but it’s not really clear what’s the missing-for-Ubuntu commitment you speak of. I am really surprised at “some of the harshest DD critics of Canonical and Ubuntu are folk who applied for but were not selected for positions at Canonical”. I know many DDs that are critical at ubuntu (which probably Mark would call being harsh) and never applied for a position in Canonical. What is more, some of them, rejected positions at Canonical! And your point is? He said “some”, not “all”. The point is he is using some lame argument to wave out all the cristicism he got from Debian Developers instead of trying to understand some of this criticism. Now that’s a much better comment than the previous one, even though I still disagree with it. Mark is a go-getter. He doesn’t have time for lengthy discussions. He has to make decisions on a schedule and live with them. His goal is to deliver the goodness of free software to as many people as possible and also build a business on top of it, and also do it all before global warming kicks in. Debian’s goals are pure and fundamental. We need both, and they don’t have to agree with each other, but they shouldn’t quarrel over it, because the two aren’t in conflict. Thanks Yegor… love these comments. This is so important. Why are people so pissed? I use Debian personally but I know in a few years when I start my company I will have Ubuntu for all my employees or at least provided as the default desktop. Needless to say kudos to Debian AND Ubuntu. Continue trying to work together please and know that there are people out here that sincerely benefit from your efforts. If Canonical included) are so keen to “deliver the goodness of free software to as many people as possible and also build a business on top of it”, why don’t they grasp the fact that for many millions of prospective users who can’t/won’t empty their pockets to acquire Windows and become locked in to it, the only feasible internet connection is via a Bluetooth dongle and a cellphone? I have been waiting for 10 years to see adequate attention being given to writing an adequate array of drivers to make this process a no-brainer for the masses. Let me know when I can connect via my BC2703 CDMA 800 EVDO Deskphone V/D wireless phone. Then the arguments over Debian/Ubuntu, Ubuntu/Mint, openSuSE, Gnome 2/3, Unity/Disunity, Xfce/Enlightenment, thiskernel/thatkernel, RedHat/BlackTux, can be put on the shelf as a luxury to be savoured for future research while I first disengage from Windows and become a happy CLI user on The Distro That Actually Works. Interesting read (as always with this series) Raphael and particularly good to hear Mark’s opinions on Ubuntu and Debian. There certainly have been some slip-ups between Debian and Ubuntu but I think it is good to have Ubuntu there to do the things I (and in some ways Debian too) don’t care about; which Mark sort of alluded to. i think this was very interesting interview, good job. also just wanted to, as very basic user, to thank all the people involved with debian and ubuntu. When is Canonical as an upstream producer of software including Unity and the UbuntuOne service going to get involved in contributing and supporting Debian packages of these software codebases? When there is more and more discussion in the ubuntu development membership of encouraging Ubuntu community contributors (people external to Canonical) to submit software packages through Debian to see new software show up in Ubuntu via the merge process… why isn’t Canonical taking the lead and using Debian and the associated merge process to get Canonical built codes into Ubuntu? This seems like an obvious place for Canonical to collaborate (in the sense that Mark defines it.) But Canonical seems only interested in officially supporting Ubuntu as a target for the codebases it is driving. Disclaimer: I’m not affiliated with either Canonical or Debian. I’m just a frequent Linux user. I find it difficult to understand why so many people from some of the leading OSS projects get upset about users of their code not contributing back (in users I include people and companies using and modifying your code). It makes me think that many people are in free software for the wrong reasons. Aren’t you in it to give it away, to share your skill, to spread the goodness of free technology without asking for anything in return? Why do you care so much about how your code is used and whether your users will come back and pat you on the back? Canonical is just another user of Debian. And when they send their feedback, just like any other user, they are letting you know what they would like to see in the project that will make their usage more effective. No not really. I am doing this because I believe in the strength of free software in the long run. Giving away software with a public domain license (if any) or giving away the software under GPL is taking a stance. When we see forks of our job we don’t really get upset about the fork happening but because some people do forks without even discussing the planned changes with the original author. It would have benefitted the project as a whole if the forkers would spend their time doing the changes in the original codebase. Things are a little more complicated sometimes. It is not always feasible to join a freesoftware as opposed to using their codebase. Was it really that unclear that I talked about forks that go public? Things that is used but never distributed is – um – hard to spot and have an opinion on, likewise I would guess that the originating project people wouldn’t get upset and yell about it as was the main part of the question. That and the fact that I don’t think the statement about “you want to give away code” is accurate for most free software developers. But I have no metrics on that one so I can only vouche for myself there. I hope this made it clearer. What Jef is referring to is “Give Back”. The whole idea of Free Software is to share. Of course, all the UbuntuOne and Unity stuff might be GPL but so is ZFS (Not GPL, but the source is available). There are some things that Red Hat did good. For example, if there’s a feature you’d like to see into RHEL, it better land in Fedora first. Similarly, as a dev, if there’s a feature that you’d like to see in Fedora, it better be upstream first. I’m not very sure for the entire stack, but this has been a common practice for the kernel. And it works, it works very well. That said, Debian is a great place to start with for Ubuntu. Especially, for stuff like Unity, UbuntuOne and others. But I can see challenges too. Unity is a project to which Canonical is the upstream. For it to land in Debian, some DD could ask the same “upstream first” policy, which in this case is GNOME, where it’d never land. So there are multi-fold problems. Is there room for Ubuntu to collaborate better with Debian? Definitely. I think they are doing a fairly okay job on collaboration. They are aggressive, what they need is a very well done planning. A robust 1 year roadmap in place. That’d help them with collaborating in time with Debian which will result in better QAed product for them. I installed Kubuntu on my mom’s laptopa while ago thinking there was a great haven to replace Mandrake for end users. Then Unity/Wayland? Man, way to torpedo a great thing. Glub glub glub. Where do I go next? Mint? @ John – As somebody who has used Unity, Gnome Shell, LXDE, XFCE, KDE, etc (the list continues) extensively, I can say each one has its pros and cons. I’ve tested Gnome Shell for the better part of a year. I used to hate it. Passionately. Now? I love it. Unity was in the same boat for me as well. Your response is, do I dare say, among the typical responses I’ve been reading lately. The kind that scream I’ve used it for ten seconds, didn’t like it, and immediately quit. In all honesty, you need to use these things for a period of time to get acquainted. Now that I know the ins and outs of Unity and Gnome Shell (the two “new age” desktop environments) I cannot imagine using my computer without them. I’m not trying to be stand off-ish about this, but sincerely, use them more. It took me a while, but now I just feel slow and not as efficient in Gnome 2.X land. You might be surprised just how usable these new interfaces are. If having to use it for a time is perquisite to being able to stand it, that rules out a lot of people. It took ten years to get my my mom using windows. She’ll be dead before she has time to learn another UI. And I’m glad for Mark, and like his work/ideas. Keep it going Mark. Just wanted to say that Mint for Ubutnu is the same what Ubuntu is for Debian – kind of fine tuning. And that is actually what FOSS is about – collaboration. You are right. I am really grateful to Ubuntu, because it brought me into the free world of linux. I & all my friends has thoughts that Linux means some geeky command line OS but once i got ubuntu cd & lots of tutorials of it, i got a smooth transition into linux. Otherwise i would have still bounded with pirated windows OS. It’s disheartening to see the animosity between Debian and Ubuntu reflected in Joey’s response, which I think is reflective of the respective (developer) communities. I’ve been using Linux since 2000/2001 with Red Hat and Mandrake, and although I heard of Debian, I always regarded it as a fringe distribution that was not as great as Red Hat. Only once I used Ubuntu, did I find new respect for the Debian distribution and it’s robustness and stability. The reality is that had it not been for Ubuntu, Debian might have slipped into oblivion in favour of Red Hat. I therefore wish the Debian guys like Joey appreciate the ongoing relevance because of the exposure brought about by Ubuntu. I think also that Mark explained nicely the reasons for why Ubuntu and Debian can not be what the other is. In the same way, Steve Jobs took a free OS and made it what it could not be because the goals of the project are different. Apple might not have been the commercial success it is today was it not for the free BSD distributions, Likewise, the successes of the smart phone industry might not be what it is today were it not for the commercially successful Apple. Mark was a visionary in starting the Ubuntu project. That has to be recognised. The interview helps to provide some insight into the man and I wish him well with his project. It’s not reflective of the communities, it’s reflective of the specific people within the communities. I’m not going to buy into are people correct in having a certain position (I was most certainly around in the Debian project then, I understand some of the animosity though don’t share it) but I do want to make it clear, with projects the size of Debian and Unbuntu it would be impossible to have a single unified view on anything and therefore it is incorrect to say that the general “us versus them” view is held by the communities as a whole. I think Ubuntu is largely positive, what Debian would be like without it I’m not exactly sure but I don’t think Debian wouldn’t exist without Unbuntu (if you think so, you don’t get why people work on Debian) but it would be different. The only strange thing is I get more cooperation (or is that coopetition) amongst the other projects, such as Fedora and SuSE for the stuff I work on. Thanks Mr Shuttleworth and all those working on Ubuntu and Debian !